Want to see what a mobile-optimized job board looks like? How to Rank Well in Google in 8 Steps! We have helped hundreds of staffing and recruiting firms improve their search engine rankings. In this webinar, we'll share the eight keys to ranking well in Google and driving more traffic to your website. The importance of social media in the staffing industry is growing every day. This month we've put together a focused social media game plan with specific takeaways to help you craft and implement a social media program that will work for your business or improve upon your current social media strategy. Had enough of the hype around social media? Us too! That's why we put together a tactical, staffing-focused Game Plan for Social Media. 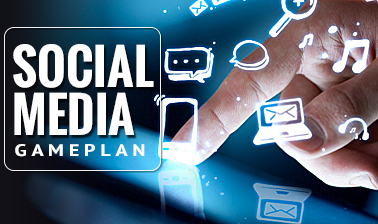 Once you've had a chance to review this game plan, give us a call at 1.888.696.2900, and we'd be happy to discuss the specifics of a social media strategy for your business.